Mostly cloudy skies. High 69F. Winds NNE at 10 to 15 mph.. Mainly cloudy. Slight chance of a rain shower. Low near 45F. Winds SE at 5 to 10 mph. Most of us have good intentions when it comes to eating in the New Year. You know, leave all those Christmas cookies and pie behind in favor of more fruits and veggies. But then, just one month later, the calendar strikes February, and it is officially the season of love … and candy. Last year we saw new M&M’s, Skittles and pink Kit-Kats for the holiday. This year, even though we’re still more than a month away from the big day, we’re already seeing all sorts of new candy, such as Lava Cake Hershey Kisses and my new favorite, Dove Pink Champagne Hearts. That’s right, champagne and chocolate are combined in these pretty little hearts to form the ultimate Valentine’s Day treat. I got the chance to taste them, and not only do they somehow magically taste like both champagne and chocolate, but even my champagne-hating husband loved them. 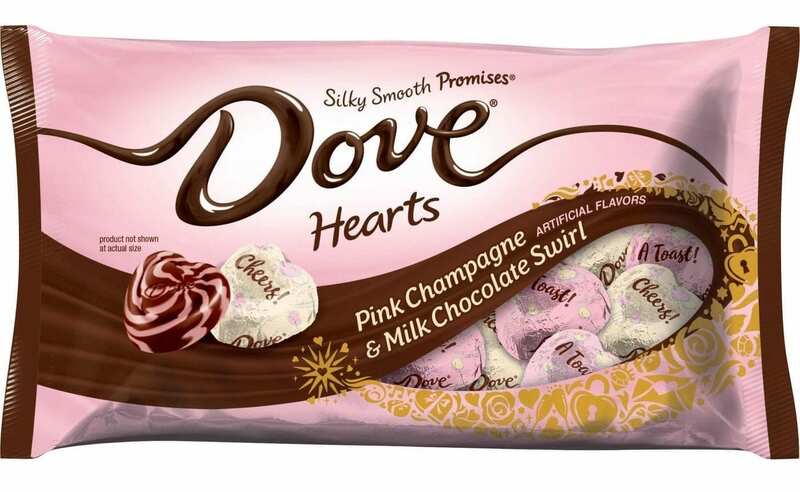 The new Dove Pink Champagne Hearts are available exclusively at Target, along with a bunch of other new and exclusive treats, like Ghirardelli White Chocolate Crème Brulee squares, which are also delicious. These new treats are only available for a limited time, so make sure you get them before Valentine’s Day is over. 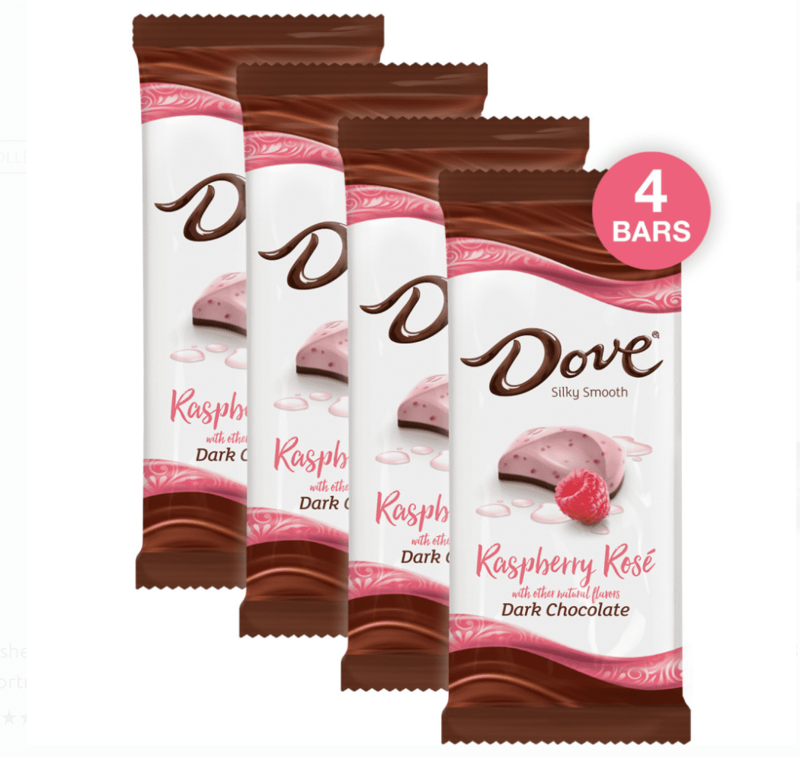 Dove also has a brand-new raspberry rosé candy bar that features a pink layer of raspberry and rosé flavors on top of dark chocolate. And this one’s not exclusive to Target. By the way, there is no real champagne in the Dove hearts, so you don’t have to wait until you’re safe at home to treat yourself. You definitely eat them at work, or while driving, or let’s be honest, all day long. If you’re looking for a champagne treat that does have actual bubbly, however, these frozen champagne grapes are sure to do the trick! Perfect for a post-Valentine’s Day dinner treat, all you do is soak the grapes in champagne, freeze them and you’re all set! Will you be trying Dove’s new Pink Champagne Hearts?